Cardas Audio produces two distinct lines of cables, Clear and Cross. There are various interconnect, speaker, power and digital cables in each. The Cross line has been in production the longest, with designs that evolved from the original Cardas cables. The Clear line represents the latest developments and insights into audio cable design. All of the Clear cables feature Matched Propagation conductors, as described in US Patent 7,674,973. Both the Clear and Cross lines feature Golden Ratio scaled, ultra-pure copper multi-stranded Litz conductors, carefully chosen dielectric materials, and innovative manufacturing techniques. The Clear line refines the design principles found in Cross, with new discoveries in metallurgy and termination techniques. Clear cables have Matched Propagation conductors, in which the propagation rate of the conductor is matched to that of the dielectric, as described in George's latest US Patent, #7,674,973. All cables are made and hand-terminated in the US. The Cross line of cables, as with the original Cardas cables, were developed to tame the harsh edge that accompanied the early days of digital audio. These cables are still in demand today by people who seek a warm, musical sound from their stereo systems. 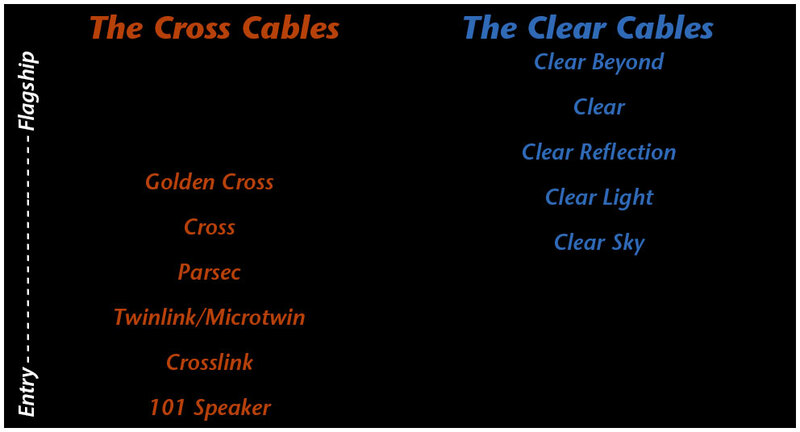 The Clear cables share many of the same characteristics, but with added neutrality and greater dynamics. Most of the Clear Cables are jacketed in dark blue, with the exception of Clear Reflection, which is black. Cross cables have various colors, ranging from Earth tones, to forrest green, sky blue and navy blue. Cables are system dependent - what works well on one system may not necessarily be right for another. Much like how a speaker that works well in one room may not be right in another. Cables from our Cross line are known for their warmth and musicality. The Clear line of cables offer unprecendented clarity and depth, and spectacular imaging. As with any manufacturer's products, both of our cable lines are arranged in an entry-level to flagship heirarchy. In simple terms, a person looking to add warmth, and tame the digital harshness in their system would do well to choose a cable from the Cross line. Somebody looking for added depth & clarity should consider a cable from the Clear line. However, that is just a glossing over of considerations that go into cable selection. We are always happy to help you choose the best Cardas cable for your application. Please contact our tech-support expert, Brian, by phone, 9am-5pm PST, at 541-347-2484. Or send an email to support@cardas.com. In the United States, Cardas cables are available through our network of dealers. Please click here to find a Cardas dealer near you. 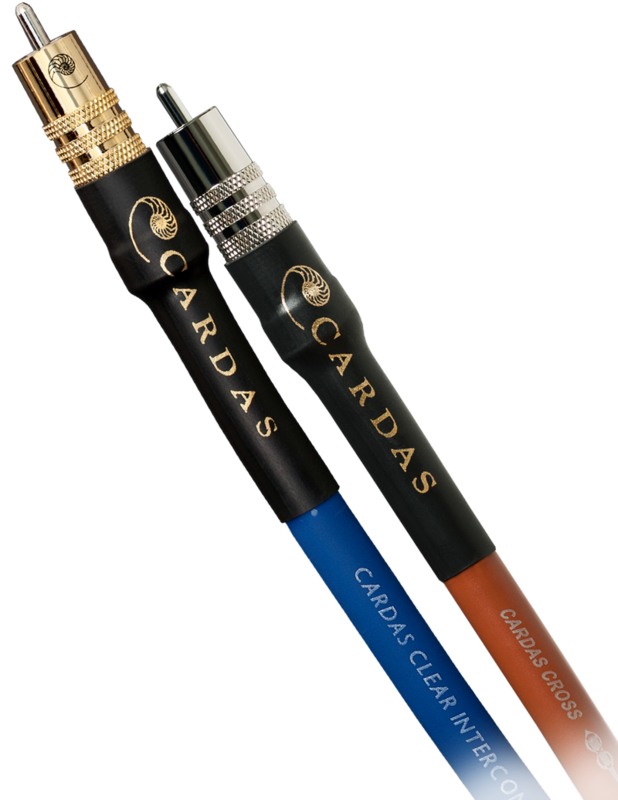 Internationally, Cardas cables are imported by distributors, and made available through their dealer network. Please click here to find a Cardas distributor in your country.